My favorite time of the year is here! Winter is the greatest time of year for paddling. A lot of family and friends think I am crazy (well maybe a little bit) when winter rolls around and I get excited about the rain and what’s to come. Most people wish for mild and sunny winter days, I’m watching the weather channel wishing for a rainy week and the river gauges going up. The winter rain will cause some of nature’s best creeks to come alive and some of the best creeking is right here in our back yard. Whether you are a Class I river or a Class IV river enthusiast the creeks are here for you to enjoy. Most of the creeks I enjoy are the Class III and Class IV creeks but these are usually dry during the summer and fall months. Rest assured though, when winter comes they come to life! These creeks create a lot of paddling excitement along with beautiful scenery of Tennessee gorges and small waterfalls coming off the hill sides. These are the places that most people never get to enjoy. Some of my favorite creeks here in Middle Tennessee include Spring Creek, Clear Creek, Daddy’s Creek, Island Creek, and Crooked Fork. Don’t get me wrong, I may be just a little bit crazy, but I take safety very serious when kayaking. Winter kayaking is dangerous if you are not prepared for the conditions. The elements of cold air temperature and cold water can zap the body heat right out of you. Preparation for these excursions is the most critical. Having the boating skills needed for the elements. Being able to maneuver you boat through rapids and around boulders. A solid roll is a must. Although swimming is normally a fun activity, swimming in cold water hours from a warm spot is not cool! The next asset is assuring you have the right equipment for the conditions. Thermal under gear suited for water. This under gear will wick water away from the body and continue to keep you warm. Dry Pants, Dry Top, Neoprene boot, Neoprene gloves, and head gear. You also want to take the right boat. A play boat is not made for creeking. You need a creek boat. 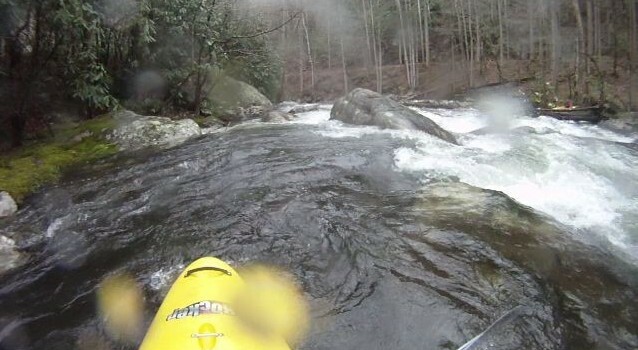 These boats have more volume and are made for the creeking conditions. Last but not least, always paddle with a buddy. I have a rule of a minimum of three persons on creeks with no road access nearby and two persons minimum if road access is near the creek. I want someone there to help me out if needed. I am looking forward to another great winter paddling adventure this winter. With that being said, get the winter gear on! Life is too short to stay indoors! Have an enjoyable safe experience winter paddling. 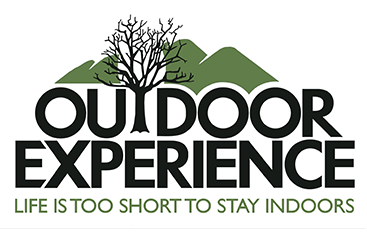 If you have questions about what gear you need, any of the friendly Outdoor Experience personnel can help you get geared up.